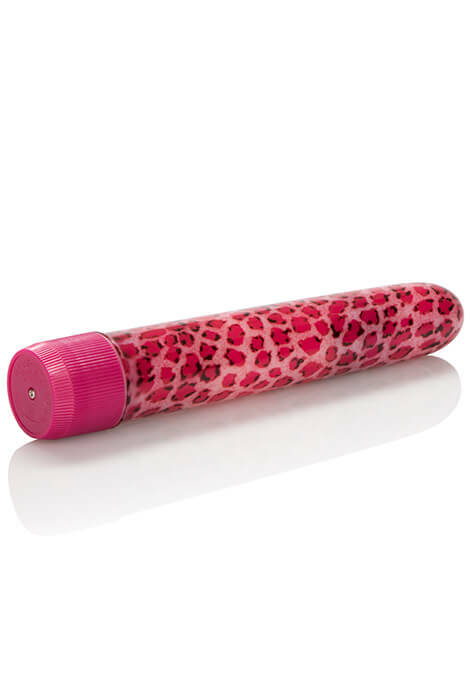 Let your inner lion roar with this Mini Leopard Massager™. Perfectly petite and discreet, beginners will love its powerful vibrations and easy, multi-speed controls. Experts will appreciate its classic shape and portable size. Precision tip lets you pinpoint your pleasure for more explosive experiences. ABC plastic. Requires 2 C batteries. 6 1/2"L x 1 1/4"dia.